Annalise, I know who has the drive. It's Denver. He's playing both sides. 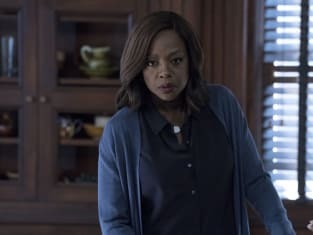 How to Get Away with Murder Season 4 Episode 14: "The Day Before He Died"
Sandrine: I'll pay you, Christophe. Wes: Pay me for what? Sandrine: To stop seeing Laurel.